Most companies these days will ask you to do a phone interview prior to inviting you in for an in-person interview. This is done for several reasons. First, it saves everyone time by making sure you are going to be a good fit for the job. Second, it’s a good way for the employer to hear you speak and interact over the phone (especially if you are applying for an inside sales position). And third, it allows the employer to weed out candidates who don’t do well over the phone, or who don’t have the qualifications to do the job. When doing phone interviews, always make sure you have your resume, the job posting and any other supporting documents you need at your fingertips. While this may be a phone interview, you have to be just as prepared as if you were attending an in-person interview. And it goes without saying; always do some research on the company and the hiring manager. Also, never assume that only one person is listening to your phone interview. While in most cases the HR person will do the first phone interview, sometimes the hiring manager will stay quiet and sit in the background listening to your conversation. Shortly after the interview, he may tell the HR person to give you thumbs up or down and then move on to the next candidate. And depending on the sales job you are applying for, sometimes you may be asked to do two phone interviews before being asked to meet someone in person. This could be the HR person and then one of the hiring managers. They may want to compare notes before asking you to come in. In some cases, before you even speak to the HR person or Hiring Manager, you may be asked to call and leave a voicemail message. You can leave any voice mail message you like, but it’s usually sales related to what you are currently selling or have sold in the past. If you leave a good voice mail message or sound professional, you will move forward in the interviewing process. While leaving a voicemail may be a requirement before you are interviewed, sometimes you may ask to give a spur of the moment sales presentation over the phone. This happened to me a few years ago when I applied for an inside sales position at a durable medical equipment company. After going through a series of interviews, at the last-minute, I was asked by the owner to call him from another office. I could make any sales presentation that I like. I was not prepared for this in advance. And to add more pressure, most of the sales team was listening in and gave their critique after my presentation. Fortunately, I passed with flying colors and I was offered the job in a few days. And finally, sometimes the sales manager may want to call you without an appointment. They do this for a couple of reasons. First, they want to catch you off guard and see how you interact with a total stranger over the phone. Are you poise, confident, and speak well under pressure? Or are you flustered and irritated by the call? Can you answer questions about the job you are applying for without the job posting and notes in front of you? Can you answer questions about your employment history without your resume in front of you? Can you ask questions of the sales manager without your notes in front of you? You may think the sales manager is being rude by calling you without an appointment, but consider this a test – perhaps the first of several tests you will have to go through during the interview process. Second, the sales manager may want to call you without an appointment because he’s busy. He has a job that must be quickly filled, and he doesn’t want to go through all the niceties and bureaucracy of hiring someone. If you sound half-way professional over the phone, and your resume is above average, he may want to get you in the door quickly. This is especially true for a high-turnover sales department or a small company that can’t afford a sales position to be open for too long. If that’s the case, beware that you are not walking into a “churn and burn” sales department. Unless you are desperate for a job, take your time before considering accepting a job offer in a hectic and crazy sales environment. Treat the phone interview just as seriously as an in-person interview. It could make the difference between landing your dream job or being unemployed. Sometimes it doesn’t make sense to exhibit at a trade show. There are various reasons for this. Maybe the exhibit booth fee is too high, or only a handful of the attendees are your target audience. Regardless of the reason, you feel that the vendors exhibiting at the show are your real best prospects. But how do you network and solicit business from vendors without being a pest? After all, put yourself in their place – if you are exhibiting at a trade show, who would rather speak to – a potential customer or another vendor? Vendors are spending a lot of money to exhibit at trade shows. For example, not only are they paying for exhibit booth registrations, but they are also forking out money for travel, meals, hotel registrations, and miscellaneous expenses like swag and marketing literature. In some cases, vendors don’t appreciate other vendors approaching them at trade shows because they feel you are hurting their ability to generate new business. And they may also resent that you are not an exhibitor, and see as an interloper interfering in their business transitions. So how do you approach a vendor without hurting his sales, and developing a win-win situation for both of you? 1). Trade Show Traffic – it’s better to approach vendors during slow times of a trade show. This will give you a better opportunity to meet them without hurting their business. Slow times are usually early in the morning, mid-morning and afternoons (when workshops are going on) and late in the day. The busiest times are usually when coffee breaks and lunch is being sponsored in the exhibit hall. Depending on how long a trade show will last, the first day is generally the busiest time. Why? Because most attendees want to take a quick peek at the vendors before going to workshops or general sessions. 2). Booth Traffic – are vendors busy speaking to customers at their booths? If yes, stand back and wait for traffic to slow down before approaching a vendor. Nothing is going to undermine your ability to get a sale more if you hurt your customer from getting a sale himself. Trade shows can be very stressful for vendors. So don’t take it personally if they quickly reject you, or only half listen to your introduction. Most of the time, they are looking over your shoulder to talk to a “real” customer – not you. Take it in stride and try to return to the booth later when traffic dies down. 3). Target – depending on the size of the trade show, you may only have a limited amount of time to visit vendors. With 300 or more vendors exhibiting at the trade show, are you really going to have time to visit each one? Not really. So the best solution is to target key vendors that you want to speak to, and hopefully generate sales down the road. This requires research. Do your homework. Most organizations will provide lists of vendors prior to a conference. And if you are lucky, most organizations will send you a list of all exhibitors, along with their contact information like phone numbers and email addresses. Use all of that information to your advantage and select which vendors to meet. If you are fortunate enough to meet everyone on your top list, then go to your “B” and then “C” vendors, and so on. 4). Appearance – how to dress when you attend a trade show can sometimes be hard to determine. Unless you attended the same event before, it can sometimes be difficult to know whether you should wear a suit, go business casual, or go completely casual. I usually prefer to take the middle ground and wear a nice sports coat with casual business pants, which the option of wearing a tie. I’ve never worn suits while attending a trade show (either as an attendee or exhibitor). It’s a judgment call. As the old saying goes, it’s better to dress to impress. You will be taken more seriously and you will feel like the true professional. 5). Knapsack – I always bring a knapsack with me when I attend trade shows either an attendee or vendor. It’s easier to carry around all the literature and swag that you know you will pick up. Also, it’s easier to carry around your laptop if you want to give a quick demo of your product or service. 6). 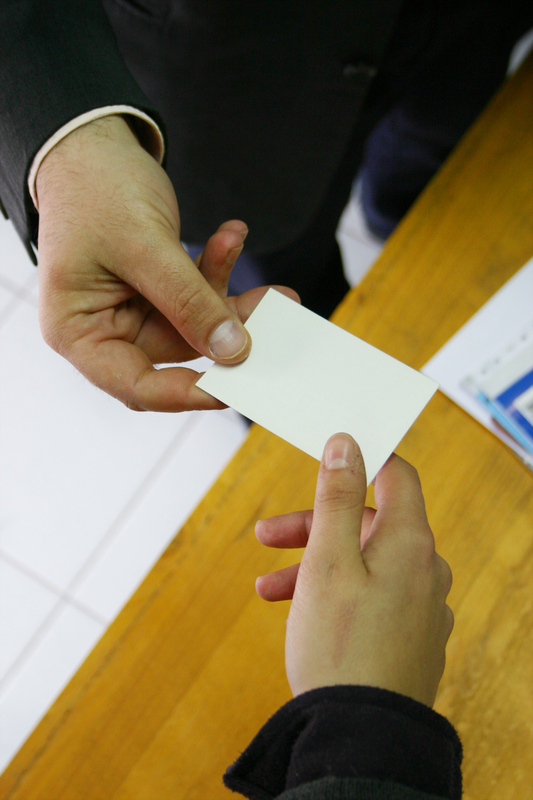 Business cards – this goes without saying, but always make sure you bring plenty of business cards with you. Also, rather than carry around large stacks of fliers, bring a postcard instead depicting what you are selling. Postcards are easier to carry, hand out and most people will read and keep them. 7). Be Honest – don’t try to pretend that you are a potential customer. Tell trade show vendors upfront that you are a salesperson too. Believe me, they will appreciate your honesty. Just let them know that you stopped by to learn more about their business, and see if you could schedule a call or online tour after the show. Of course, exchange business cards, maybe pick up some of their literature, take a quick look around their booth, and then leave. Don’t be rude and take their swag – that’s for customers. If you really are eager to bring home swag, wait until the end of the trade show. Most vendors would rather have the leftover swag given away to attendees than pack it up and take it back home. 8). Small notebook – Do you have a great memory? If not, bring along a small notebook and pen with you to jot down notes or ideas. 9). 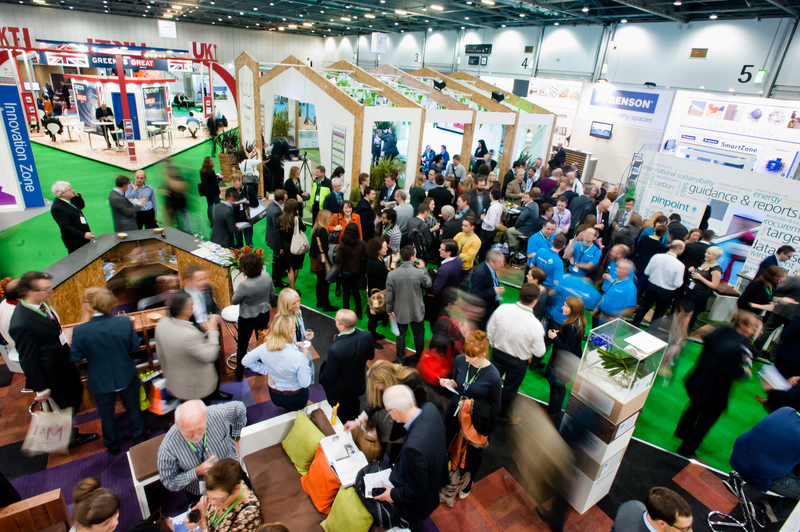 Attend workshops – not all your potential customers are going to be exhibiting at the trade show. Some will attend workshops. Review the agenda beforehand and select workshops where you feel you have the greatest chance of meeting good prospects. Or better yet, if you know that a key customer will be speaking at a workshop, as a matter of courtesy (and good business sense), attend his event. After he speaks, go up and shake his hand and congratulate him on a good presentation. Or better yet, if you can swing it, ask if you could speak at a trade show or participate in a panel discussion. 10). Social events – All conferences and trade shows have social events. Again, review the agenda and select ones that will give you the greatest chance to meet clients. 11). Your Mother was wrong. Do talk to strangers – When you were a child, your mother offered you good advice about not talking to strangers. But as a grownup sales professional, you need to talk to strangers to network and generate new business. See a lunch table with an open seat? Ask if the seat is taken. If not, sit down, introduce yourself, eat, and maybe find a customer. Standing in line waiting to use the restroom? Introduce yourself to the person next to you and strike up a conversation. You rarely are going to find a lot of potential customers in one setting than at a conference or trade show. 12). Scott Ginsberg is right. “Surrender your agenda” – Scott Ginsberg, author, and speaker made a very good point in an interview published in an article on How to Network at Conferences and Trade Shows: Mini-Guide by MarketingSherpa. Unless you spoke to a vendor in advance of a trade show, you rarely are going to get a sale on the spot. Sure, prior to attending the conference, you may want to schedule some meetings while at the event. It’s not unusual for attendees to be sponsors and lease a small makeshift office or table for conversations or demos. But try to set the right expectations for yourself. You should focus on generating relationships with the goal of scheduling more time after a conference for extended conversations, online tours, free trials and eventually getting the order. BTW, when you have a chance, please read his book Hello, My Name is Scott. 13). Avoid the hard sell. When you are working at a booth, you usually can’t avoid doing the hard sell. Time is money and you want to meet as many attendees and potential customers as you can. But when you are a vendor visiting other vendors, you have to take the soft sell approach. Don’t go in with guns blazing and tell everyone about your company or product. Instead, show some interest in what they are selling. Ask good questions. Take some notes. Remember, your goal isn’t to sell on the spot, but try to get an appointment after the show. 14). Be social. That is, be on social media and follow vendors before you attend the trade show. Follow them on Twitter, LinkedIn, and other sites. Let them know that you are showing interest in the company, and hopefully, in return, they will show interest in you. 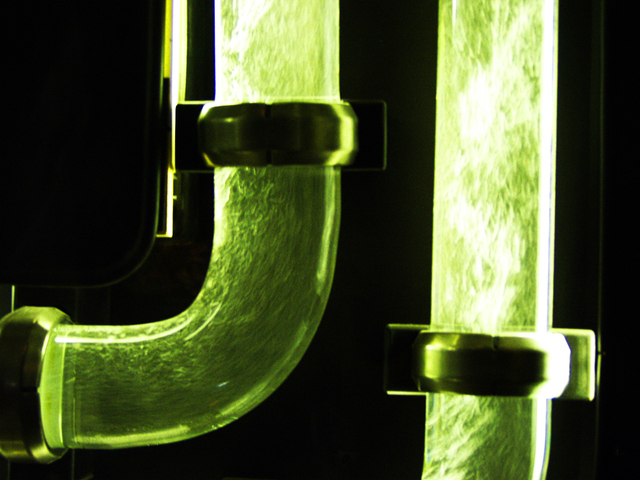 Do you have a clogged sales pipeline? When your pipes are clogged, you call the plumber. When your sales pipeline is clogged, who do you call? You can speak to your sales manager. Maybe he can help you. Or, you could speak to your co-workers and seek their advice. But at the end of the day, your sales pipeline is your responsibility. Before I move forward, let’s define what a clogged sales pipeline is – it is a pipeline in your CRM (Customer Relationship Management) system where you have too many leads that you are not following up on, or have fallen through the cracks. This can happen for several reasons. 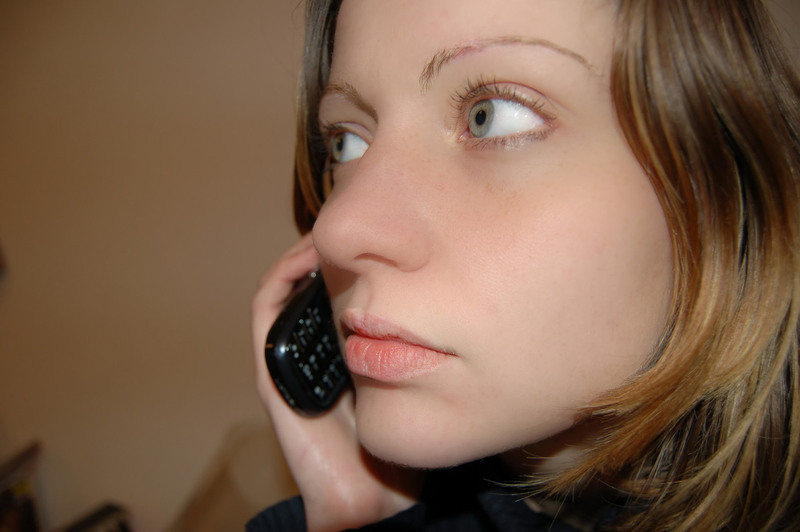 Maybe you are spending too much time attending trade shows, and you haven’t had time to make follow-up phone calls. Maybe your sales territory is too large, and you don’t have time to cover it all. Maybe you are receiving too many inbound leads, and you don’t have time to call them. Whatever the reason, a clogged sales pipeline can hurt your ability to increase sales, which in turn, means smaller commission checks. 1). Winnow down your leads – review them on a monthly basis and eliminate the leads that are not high priorities, and you strongly suspect are not going to buy soon. That doesn’t mean that you should drop them completely. You can always circle back in a few months. But for now, put them on the back-burner and focus on ones that will close soon. The biggest mistake a lot of salespeople make is that they sit on leads far too long when they know in their guts they are not going to order. Keeping those leads in your pipeline only distracts you, and makes you look incompetent. And depending on how leads are distributed to your sales team, you may be hurting yourself from obtaining fresher and better leads from your sales manager. 2). Do you have real leads? Or are you sitting on a bunch of prospects? What is the difference? A lead is a client that has either contacted you and has expressed an interest in your products or services or is a referral that you received from one of your existing customers. A lead is also someone who you have contacted directly and is interested in speaking with your further, but he hasn’t “sealed the deal” yet. On the other hand, a prospect is a potential lead that fits your client profile, but you haven’t contacted him yet. My point is to make sure you have a pipeline of active leads that could close soon, and not a bunch of prospects that you have to weed through. 3). What is your sales cycle? Every industry has its own sales cycle. Depending on what you are selling, it can take anywhere from a few days to two years to close a sale. For example, if you are selling products or services that historically have a two-week sales cycle, but you are still sitting on leads after six months, maybe it’s time to close those leads lead and circle back later. Or better yet, make sure you are actually contacting the right decision maker. Maybe the real reason your sales pipeline is clogged is that you are contacting interns and secretaries rather than the CEO or someone in upper management. And check the phone number – I actually know of salespeople who spent months calling the same phone number only to find out later they were calling the wrong number. Or worst, they find out the hard way that the lead left the company months ago, and the HR department never bothered to forward the phone calls or emails to another employee. 4). Are you following up enough? Another reason you may have a clogged sales pipeline is that you’re not following up enough. 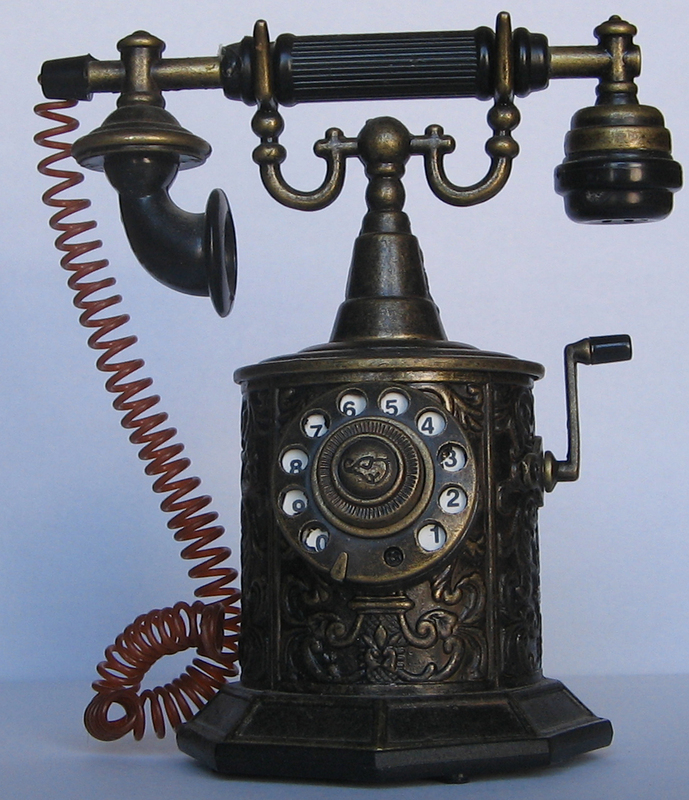 As a general rule, when making cold calls, space your contacts out every 4 days. Unless you’re told otherwise by a lead, stretching out your contacts too long could be hurting your sales. Make at least 8 to 12 attempts (by phone, voicemail, and email). After all of those attempts, if you still haven’t talked to your lead, put him on the back-burner and contact him later. Clogged pipelines are not difficult to clean. Just use some best practices and common sense, you will find yourself back on the right track.